The following is a list of the most popular items that we sell along with our suggestions and recommendations. We have based our recommendations on popularity, customer feedback and features. We only ever stock the latest maps available so you can be rest assured that you will always get the most comprehensive maps available for Ireland. All motorways and by-passes are available on this map set. If you are looking to update your maps on your sat-nav and only need to update your Ireland maps this SD card is the cheapest option. The GPSMAP series from Garmin has always been one of the most popular handheld product lines and the new GPSMAP 64 series has built on that successs. The GPSMAP 64s is very similar to the GPSMAP 64 with a few extra features. First of all it has an electronic compass and barometric altimeter so you can get more accurate altitude reading. Secondly the unit enables unit-to-unit transfer and wireless connectivity to a range of compatible sensors such as Garmin's Heart Rate Monitor and live tracking via Garmin Connect. Finally, smart notifications allows you to receive emails and text alerts from compatible smartphones. All-in-all we feel that the 'S' represents the best of the GPSMAP 64 series, a good balance between price and the features offered. The GPSMAP 64s comes prelaoded with a Topo Light Ireland and UK map which is adequate for most recreational purposes however it does lack the detail that you get with equivalent Ordnance Survey maps. 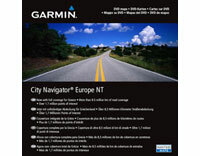 Furthermore it is no longer possible to get OSI 1:50K maps of the Republic of Ireland for the GPSMAP series from Garmin. Currently the only handheld GPS devices on the market that offer OSI 1:50K maps of the Republic are the Active series from Satmap. If you need detailed maps of the Republic, we highly recommend the new Satmap Active 20 and it is definitely worth investigating further. Click here for details on the Satmap Active 20 or visit www.satmap.co.uk to find out more about the company behind these award winning devices. 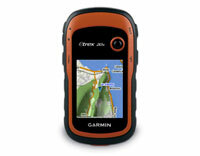 Please note that maps from Satmap will not work on Garmin handheld GPS systems. eTrex 20x is Garmin's upgraded version of the popular eTrex 20, with enhanced screen resolution and extended internal memory to hold more maps. The device is preloaded with Garmin TopoActive Map which supports a range of outdoor activities such as hiking, geocaching, cycling, mountaineering and fishing. Garmin TopoActive Western Europe is based on OpenStreetMaps (OSM) mapping data and covers the following countries: Albania, Andorra, Austria, Belgium, Denmark, Finland, France, Germany, Iceland, Ireland, Italy, Liechtenstein, Luxembourg, Malta, Monaco, Netherlands, Norway, Portugal, San Marino, Spain, Sweden, Switzerland, United Kingdom and the Vatican City. OSM map data is crowd-sourced so the quality and completeness depends heavily on local mapping coverage. The Active series from Satmap is the only device that this company produces so there is a lot of attention to detail, listening to what customers have to say and ensuring that client and technical support is second to none. 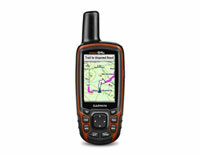 Satmap sold their first product, the Active 10, back in 2007 so must be doing something right. Over the years, their products have won numerous awards and the company has grown a loyal following of serious enthusiasts of the great outdoors whether it be walking, hiking, cycling or off-roading. One of the other major pluses of the Satmap Active series is the number of maps that are available for these devices. Currently the catalogue is some 450 titles across the globe. There is an excellent selection of maps for Ireland including a 1:25K mapping of the Dublin & Wicklow mountain from EastWest Mapping (Barry Dalby and team), a selection of Harvey Superwalker titles, Satmap's own Adventure Map and of course Ordnance Survey Ireland 1:50K maps. 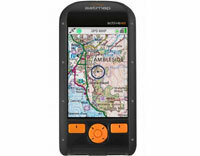 If you are in the market for a handheld GPS, you should definitely give the Satmap Active 20 serious consideration. If you have questions that you can't find the answer to on the website then please call us on +353 1 293 6987, we would be happy to help. 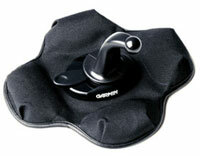 One of the best and most popular Garmin accessories. This new portable friction mount features a non-skid bottom and pliable base to keep the mount secure on your dashboard..
For ease of use, setup and removing quickly from the dashboard to hide under your seat, this mount is an excellent no fuss solution. Unlike suction cup mounts, that leave ring marks on the windscreen, or permanent dashboards mounts this mount leave no evidence that you even have a GPS in your car - so it's a great deterrent for would-be thieves.